Being a community of one of the most wanted job searched in life, home remodeling, we have a clear and consistent methodology that will help our members to produce superior results that please their customers and show that they are the number one name for all remodeling and construction needs. We always encourage our members to go into every job with the goal of 100% customer satisfaction and 100% safety for both our members and client’s family. This allows our member to focus on what really matters to customers while saving their money and ensuring the best possible outcome for everyone involved. 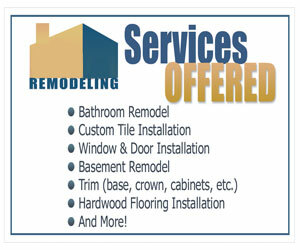 This is the biggest difference that we offer to all of the customers. One the code of ethics in our society is that we stand by all of our work and only use the best materials available to ensure client will have the best possible experience throughout the duration of the project and their continued residence in the newly finished space. We have regular training for our member and welcome all questions, comments, concerns, and requests regarding starting a home remodeling contractor business, maintain the business, working with clients, find recommended suppliers, and many more. Once a month, we’ll have a regular gathering to discuss what’s the new trend and share any issue to find the solution together.